In celebration of LeBron James current NBA 2K14 cover, Nike teamed up with the gaming juggernaut to produce a limited edition LeBron 11 sneaker that can only be earned through playing the game. Limited to just 2,014 pairs, this exclusive LeBron 11 can only be unlocked by reaching several milestones in their MyPlayer campaign. For a chance to win, players will have to channel their inner King James and complete milestones including winning 60 games, and creating a signature shoe in the Nike Innovation Kitchen within 2K14, as well as a few others. Carve out some time though, as it reportedly took roughly 80 hours to complete the milestones. This marks the first-ever physical basketball shoe that can be unlocked and won through gaming, which could spark a new generation and wave of things to come. The sneaker was inspired by performance innovation and LeBron&apos;s heart of a lion to become the best there ever was. 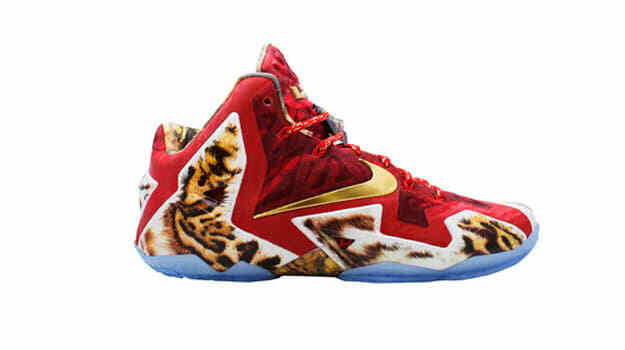 The special LeBron 11 features a jungle cat print throughout with a deep red upper to symbolizes James&apos; tenacity. 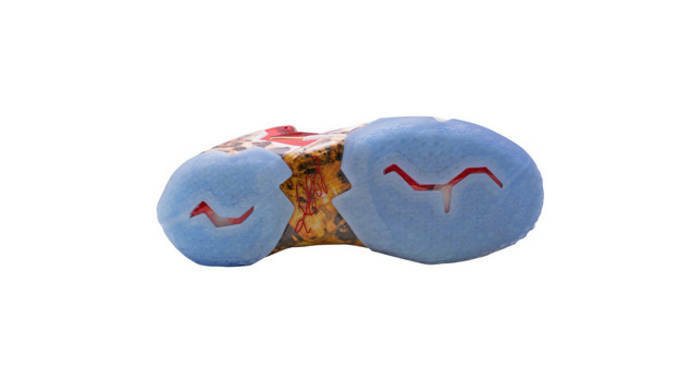 Winners will be selected and contacted tonight for further information and shipping details. Gotta play to win.